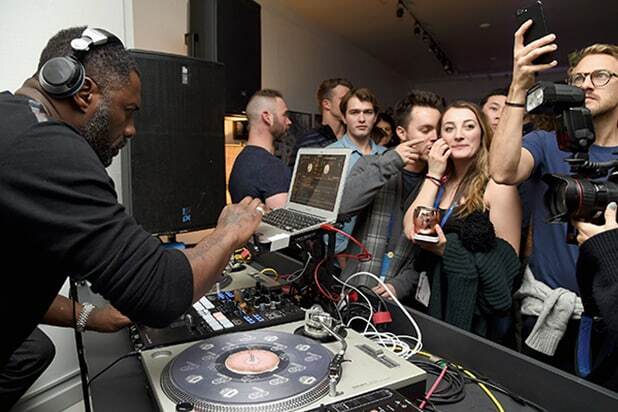 SHOCKER: Idris Elba The last time we caught musician Idris Elba, he was DJ'ing a small party for an indie film at Sundance (above). He wins this year's "Hans Zimmer" bizarro booking award. Sidenote: The Elbas are having a good year, his daughter is also the 2019 Golden Globes Ambassador. 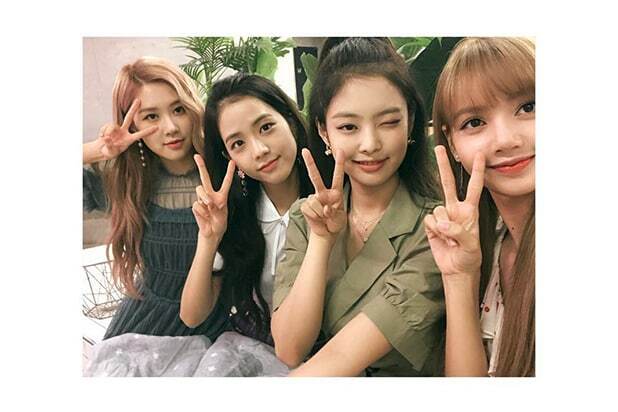 SURPRISE: K-Pop Girl Group BlackPink That hand gesture is correct. They landed on the coveted second line. Huge around the world with 14.4 million Instagram followers, they're not a force in U.S. music ... yet. SNUB: No Marshmello, no Chainsmokers Both played Coachella once as mid-tier electronic artists, in 2017 and 2016 respectively, then both released a string of hits that shot them over their producer peers to become global pop stars. A promotion from their earlier second line status to headliner would not have unreasonable. If each had been seeking to return for a prestige play, they may have been competing with each other. However, the economics of booking expensive DJ acts who are excessively available in Vegas every weekend (both are residents at the appropriately named "XS" at the Wynn) doesn't make sense for this stacked house lineup. 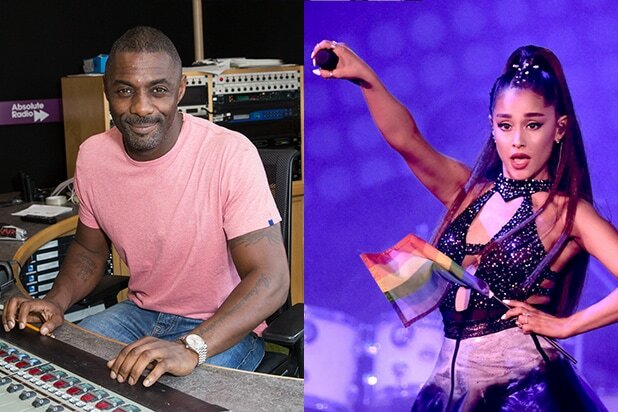 If anything, Ariana Grande nabbed what could have been their pop-star spot. SURPRISE: Jaden Smith His dad, Big Willie, would have been less of a surprise. SURPRISE TO COME? Will Smith Will Smith got a taste of the modern festival scene when he showed up with the aforementioned Marshmello on the main stage at Ultra in Miami last March. Smith has been hiking through youth culture recently, pulling off the most cinematic stunt on YouTube by bungee jumping the Grand Canyon for his 50th birthday and hosting YouTube's annual Rewind video. With '90s nostalgia in bloom, he would have been a popular bizarro booking himself, yet remains a lock for a "surprise" guest appearance when his son takes the stage. ON BRAND: DJ Snake Since he last played in 2017, the "Let Me Love You" producer has scored 7 billion streams of his debut album on Spotify, became the eighth most played artist in the world, spun a set on top of the Arc de Triomphe (pictured), accepted French President Macron's invitation to join the leader's World Cup championship celebration, and launched "Taki Taki" to number one in territories around the globe. As an associate of his manager, Amy Thomson, the stats support my bias that the producer deserves this spot on what has been called the most important stage for an electronic producer. SNUB: Everyone in Kanye's clique is going, except Kanye Kanye was rumored to be a headliner for months, until news broke hours before the lineup reveal that he was out of the running. The "what if?" of a "Kanye and Friends" headliner-by-committee show checks out. A chunk of Kanye's orbit - Kid Cudi, Pusha T, Sheck Wes and even his former creative director Virgil Abloh (right) - are all headed to Indio, without the boss. WHAT? : Cola Boyy A 28-year-old disabled activist/disco marxist from Oxnard, California, was the first artist announced, popping up on Coachella producer Goldenvoice's Twitter hours before the lineup reveal. (His 230 twitter followers had only climbed to 278 hours later. Gaining a toehold in the attention economy is hard even with sudden fame.) "Is this a hack?" live music analyst @TheFestiveOwl tweeted. Later, when Childish Gambino was revealed as a headliner, one Reddit user pitched a "Cola Boyy x Paper Boi" collaboration. SNUB: 20th Anniversary Pageantry Overall Because Coachella skipped a year early on, 2019 will be the 20th edition and 20th anniversary of the first Coachella in 1999. A throwback stage, a sprinkle of bookings from still active artists, or even a small "20th" on this year's poster would have been a cool flourish. It doesn't look like Goldenvoice has any intention of marking the occasion. Sorry, Moby and Beck. AS PREDICTED: Billie Eilish The 17-year-old "Ocean Eyes" singer blew up sometime between Coachella 2018 and Lollapalooza last summer. She doesn't play the KIIS FM Jingle Ball circuit. She has to be there. BUSTED RUMOR: Mumford and Sons "A Coachella-sized hole in their 2019 touring schedule," Redditors said. Those people must have been living in "The Cave." RIGHT PLACE, RIGHT TIME: Gryffin Every spring, there's one melodic producer who rockets up a level through new material, a theater tour, and then marquee festival performances. Last year, it was Illenium. This spring, it's going to be L.A. local Dan Griffiths. In November, he debuted a new live show at the Palladium in Hollywood, turning a Friday night crowd into gunpowder. Based on that "oh, this song too" reaction, there's an engaged audience primed to wake-up to his fandom. Add him to your schedule. MISSED OPP: Miley Cyrus It's not just her current hit "Nothing Breaks Like a Heart." Cyrus has seven songs with super-producer Mark Ronson in the can. As she peeks out what from she's calling "the blackout," a prominent Coachella set felt like the right launch pad for her new cycle. ON BRAND: Maggie Rogers With a new album in mid-January, Rogers has felt like a lock for months. As they often do, "SNL" nailed her on the front of this arc when she sang "Fallingwater" barefoot on this past November's Jonah Hill-hosted episode. Now, she's playing live on Saturday night in Indio. SURPRISE: Bassnectar Producer Lorin Ashton's visual-heavy sets are a hypnotic religious experience for "Bassnectar buddies," like these folks in the front row of a past show. This is the set that will max out the specs of the new Sahara tent production. Bring your sunglasses. MISSING IN ACTION: Skrillex "Sonny" has been out-of-cycle for a few seasons while most of his peer producers never "turn down." Over the last few months, he's been quietly playing festivals abroad, but tip-toeing around a significant U.S. solo show. As a multi-year Coachella vet and recent scarcity, he could have been booked as high as headliner. MISS: LSD (Labrinth, Sia, Diplo) From the moment this supergroup debuted last spring with a string of catchy hits, fans had them penciled in to a sub-headliner spot. Because they don't perform together live, the time, expense, and logistics of producing a stage show together without a tour probably just wasn't worth it for these three. We still get Diplo's best bud Dillon Francis, whose 2017 set is still straining neck-bobbing muscles on YouTube years later.